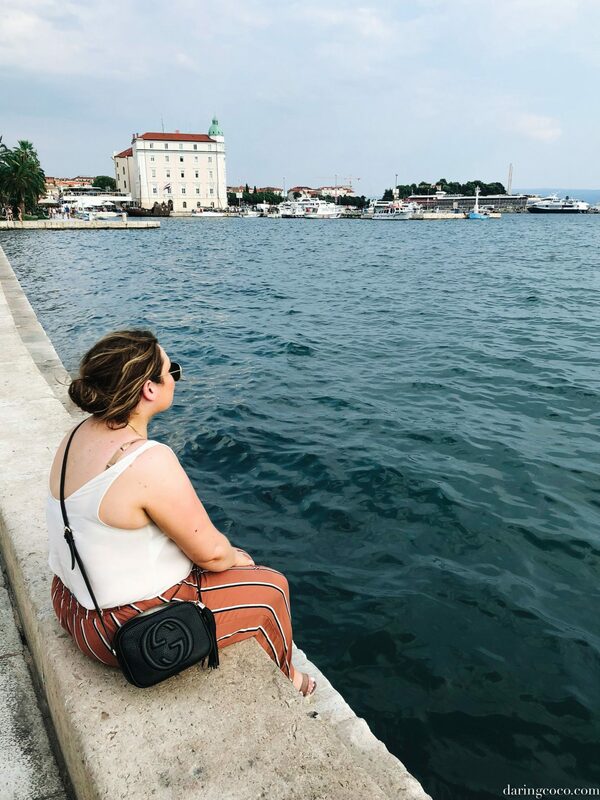 Our time in both Zagreb and Split, Croatia was far too short but ever so sweet. 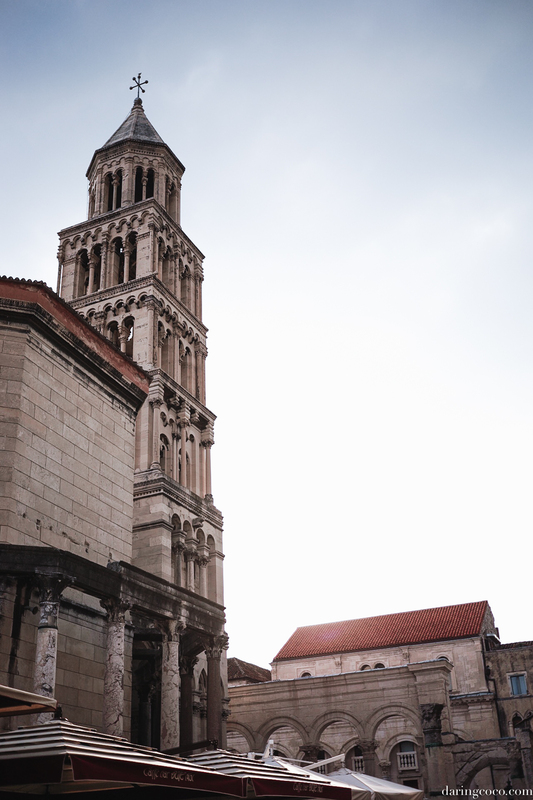 Both Croatian cities are equally charming in their own right and with obvious contrasts. 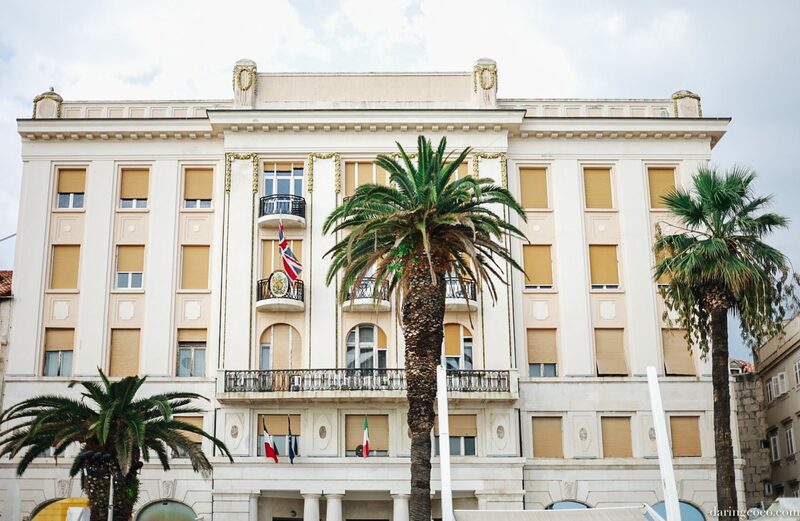 Zagreb a main hub for the North of Croatia and one teeming with history and tradition and Split in what feels like a playground for the rich and famous. One akin to the kind of presumptions associated with the French Riviera or Monaco for example. 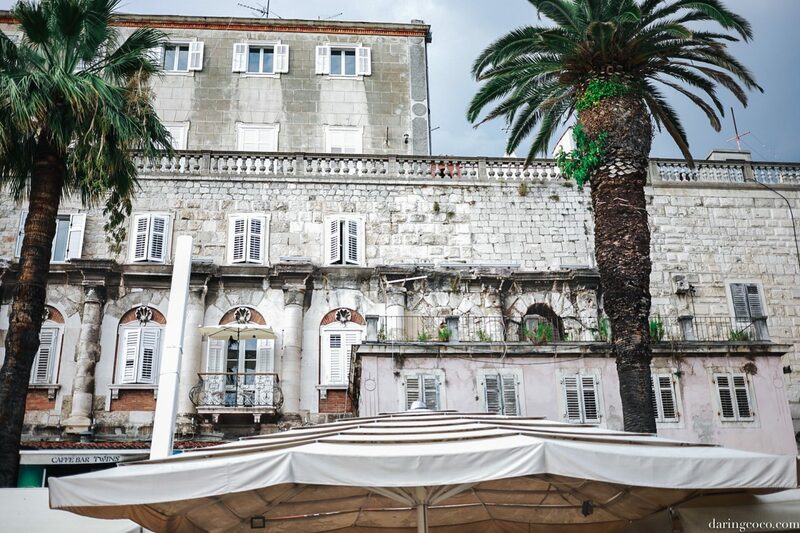 For us our stay in Split was overly luxurious. 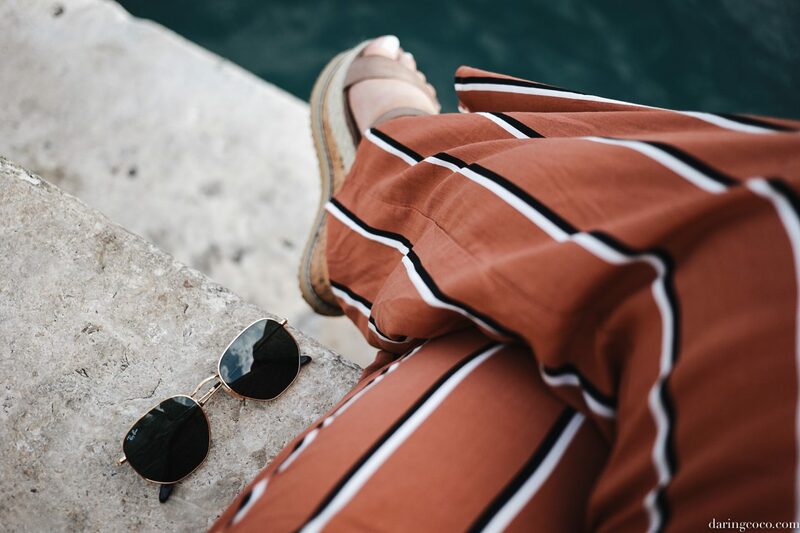 From our penthouse apartment rental to the Splitska Riva and the copious late night Caipirinhas. Split was indeed an escape. Even if we had less than twenty-four hours to enjoy it fully. For the entirety of our trip, we organised accomodations via Airbnb. And for the first time ever I experienced one of those Airbnb horror stories. And that was when our original accomodation for Split cancelled on me within days of departure and mere hours for my travel companion who was set to board the plane later that day. We were left in purgatory. Unable to accept a different offering from our host in a not so desirable area, while awaiting for said host to cancel our booking so we could proceed with arranging new quarters. Which at that point, with only three days prior to arrival (and in the midst of peak holiday season) we were left with a total of seven homes to select; all of which are grossly over budget. Noticing a panicked tweet of mine, Airbnb intervened and promptly saw to it that our previous arrangement was cancelled immediately so I could proceed to booking another. We were also compensated with a mere $25 credit. Which in hindsight seemed hardly reasonable granted the extremities and stress of our situation at that time. 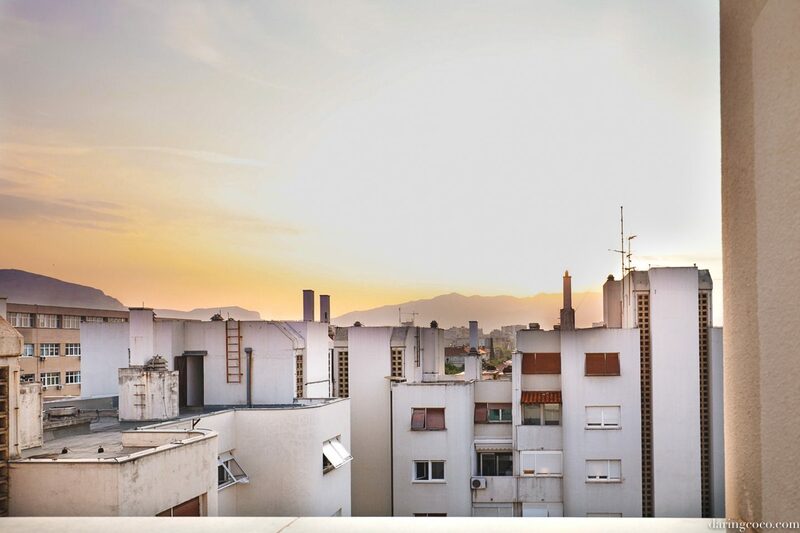 I wouldn’t say this has tarnished my experience with Airbnb completely, but it’s certainly opened my eyes and will leave me penning out alternative’s for future travels. With limited options we ended up selecting an apartment purely for location purposes. What we didn’t realise was how much of a blessing in disguise the ordeal became (granted we certainly paid for said blessings). 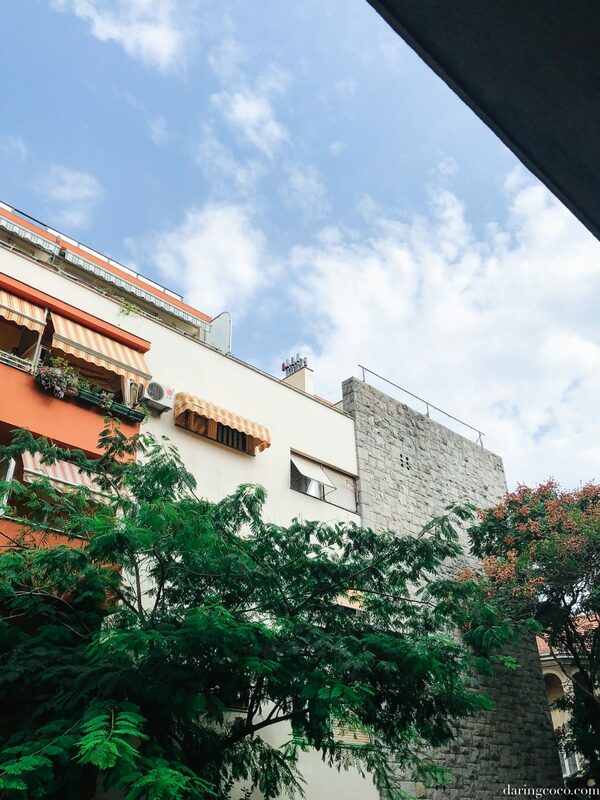 Seemingly a well thought out space with interiors to match, our apartment also housed some of the most resplendent views over the city; including glimpses of the waterfront. 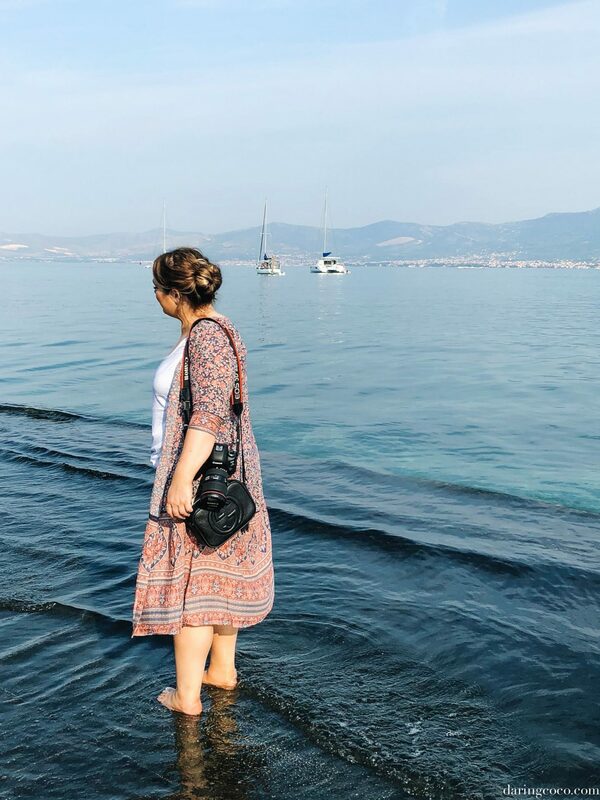 As expected its location was ideal with only a short walk towards Riva and a delicious bakery right on the corner a block away; we had all we needed for such a short stay in Split. 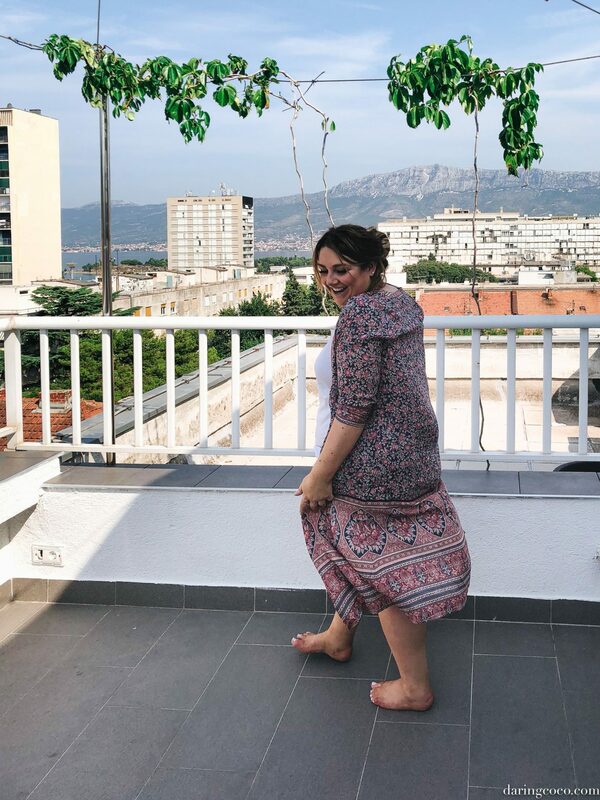 But best of all was the rooftop terrace, also undeniably ideal for impromptu twirling in my Spell Designs duster. Or shall we call them rain dances? Considering the scorching August heat lived well up to its name. Unfortunately my moves appeased no one and as if in retaliation, the weather continued to heat up further. Fortunately after a somewhat brief walk (or better yet, uber ride) away from our apartment was the waterfront adjacent to a marina. This spot proved to be a great opportunity to get our feet wet while simultaneously observing the rowing club in the midst of training practice. 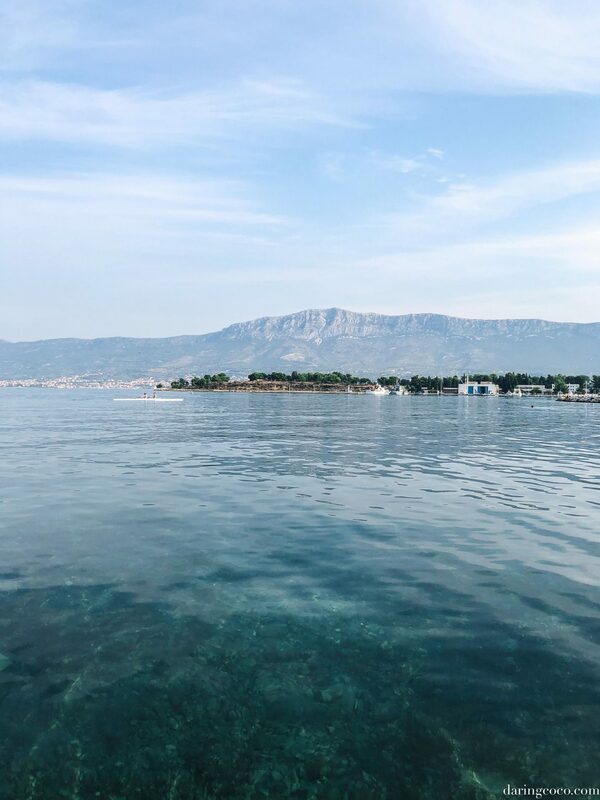 Though it was hard to concentrate as we were continually distracted and awestruck at not only the transparency of Croatia’s cerulean waters (my very first encounter with them), but also the majestic mountain-scape that stretched off into the horizon. Elevations and clear blue water as far as the eye can see. I was in heaven. I don’t know if I have mentioned this before, but Croatia has spoiled all other beaches and waterfronts for me. With their immaculate, sand-free pebble shores and waters it’s not hard to note why. That is unless you have not been blessed with the experience and wonder of a pebble beach. Not a grain of sand in the water equates to no nuisance grains daring to make an escape in your swimwear. I never knew how much this irked me until I swam in Croatian waters. Undeniably the most whimsical and fantastical sites I’ve ever visited. 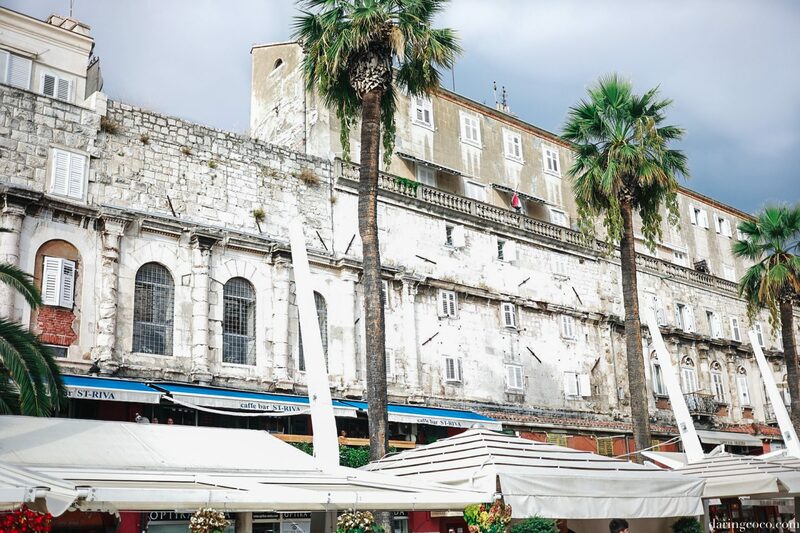 Diocletian’s Palace is one of the grandest and most preserved and restored Roman structures and architecture in the world today. 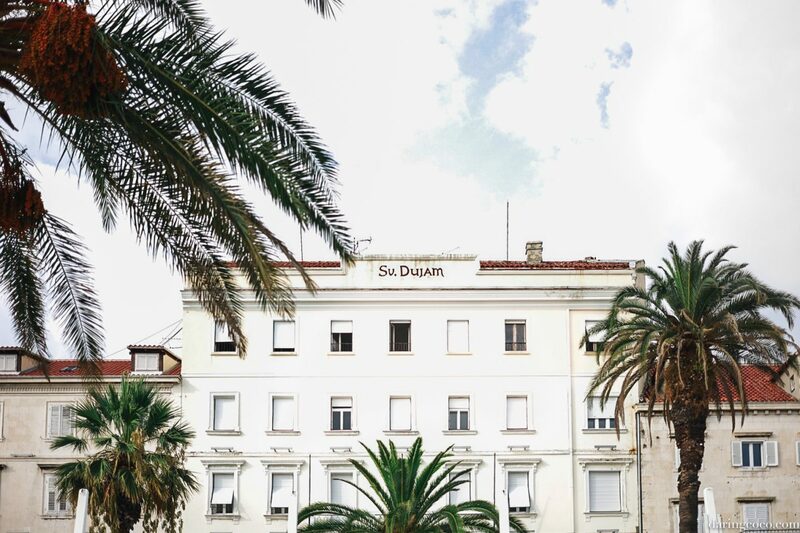 With the city of Split built around it’s remains and walls you’ll notice glimpses of forgotten Roman architecture combined with “newer” constructions. 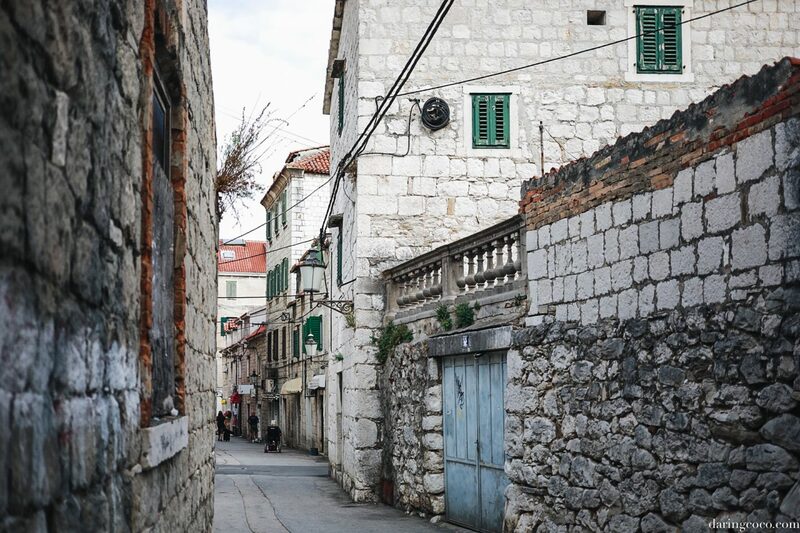 Like arches that appear to be wedged beside buildings and apartments built into Roman walls. Or could it be Roman quarters that were updated and once again made liveable? I can’t tell you how much I daydreamed and swooned over the residences that overlooked the Riva Promenade. What I would give to be able to tour inside one of those homes. 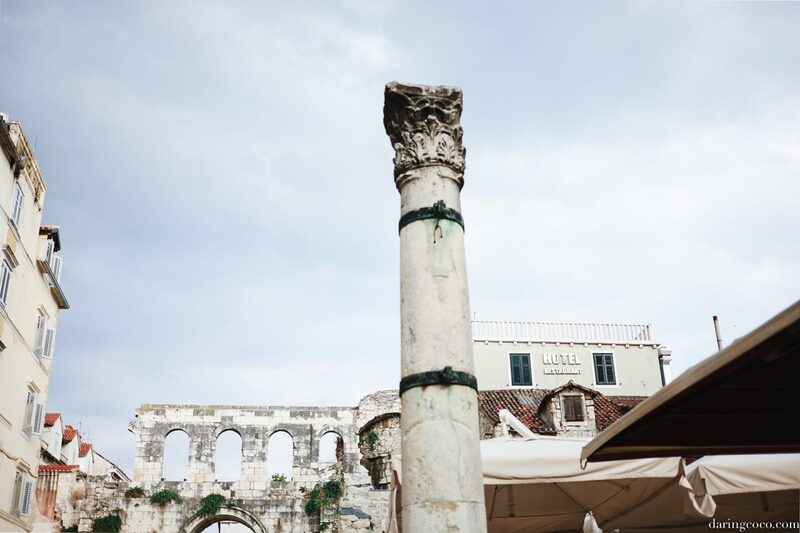 Diocletian’s Palace houses such detail in architecture, one so beautifully elaborate, meaning there are countless wonders to feast your eyes upon. From the pillars to the crumbling walls, Sphinx or even the original Roman pavement. 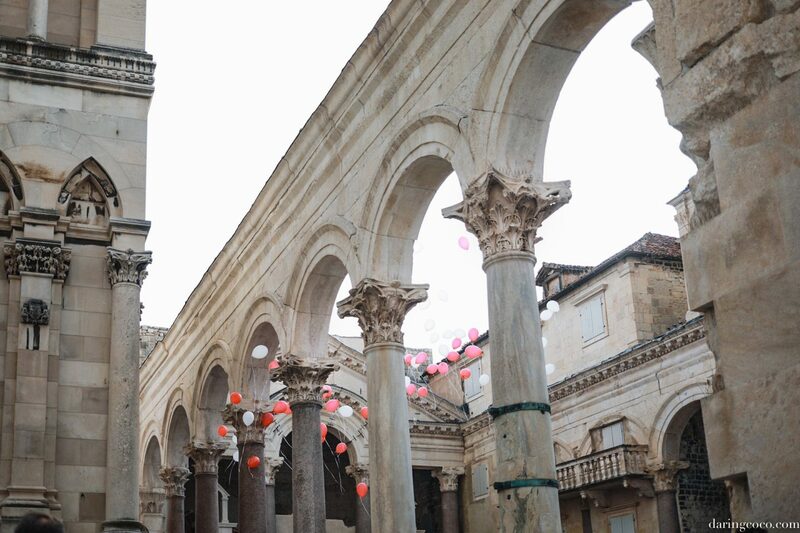 Diocletian’s Palace is rightly a wonder of the world. 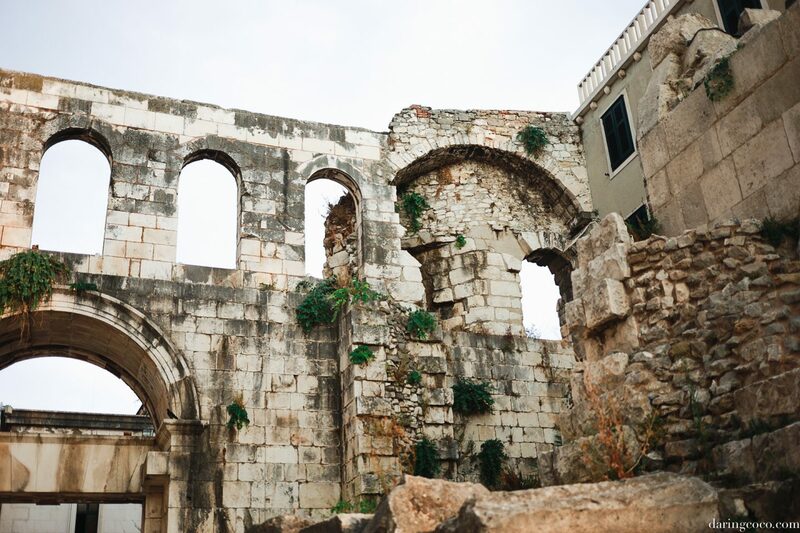 Seemingly Diocletian’s Palace is a place which captures the hearts and imaginations of others, as during our time here in Split a wedding was in progress. 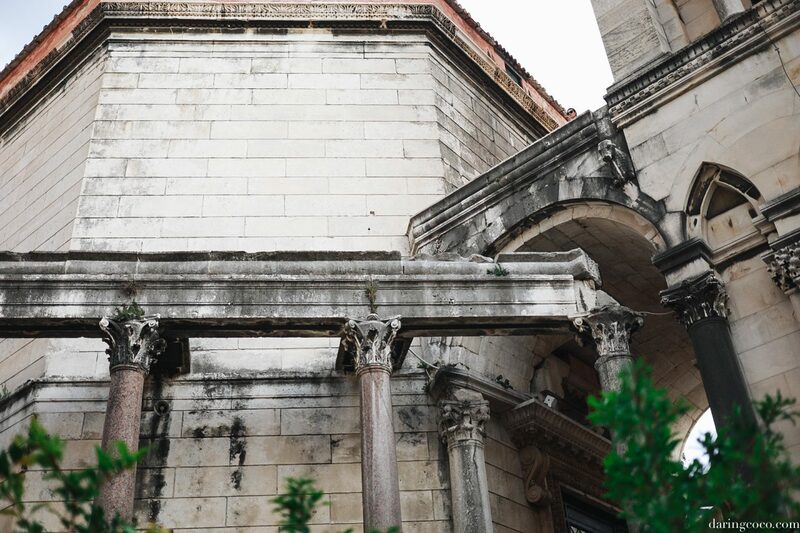 To say it was a chaotic mess is an understatement, as wedding guests commingled and pressed against inquisitive tourists who all paused outside the Peristyle to view and even photograph the fanfare. Sadly because of such celebrations it was difficult to navigate and thoroughly peruse the site as people swarmed the area and some parts where closed off to the public. Which was a great shame as such historic grandeur really needed time and calm to fully appreciate what was before us. What I would have given to be able to glimpse and peruse inside one of these residences. Does the interior also house Roman magnificence or are all traces of Rome solely on the exterior facade? You can not imagine how much this conundrum tormented me. 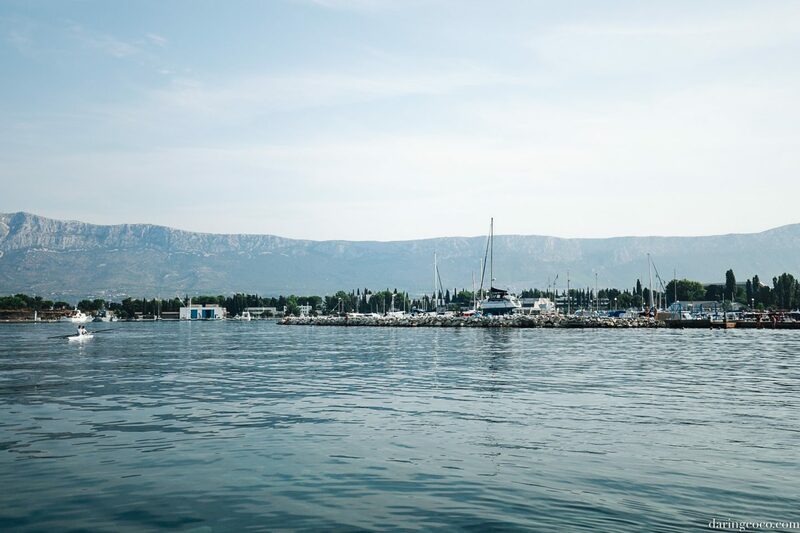 Splitska Riva is boarded by those legendary crystal clear waters and the integrated walls of Diolectian’s Palace. The promenade stretches for what seems like miles, but that is because your attention is drawn to the numerous sights and smells before you. 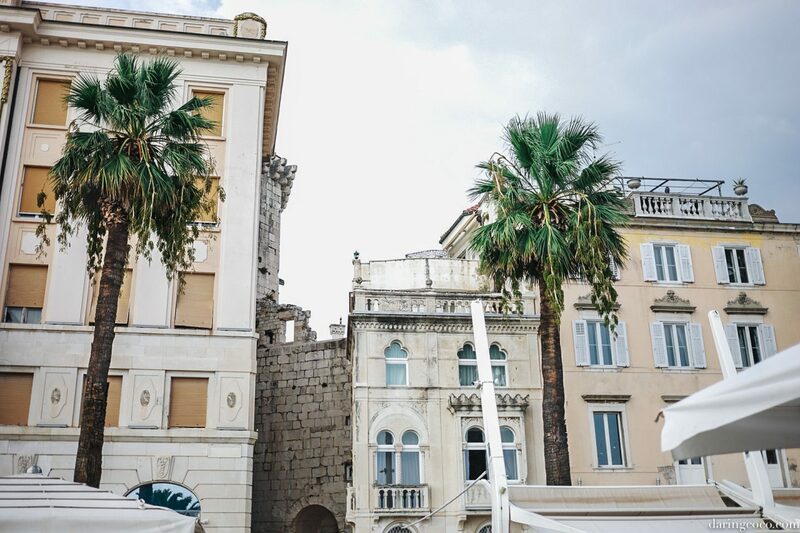 From resplendent architecture, including glimpses of Diocletian’s Palace to sashaying palm trees and sweet treats like freshly squeezed juice and cocktails. 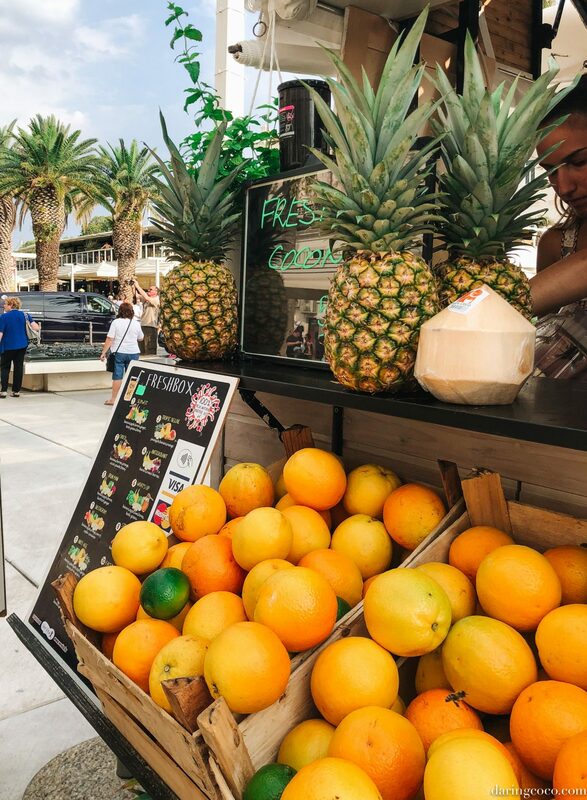 There’s people watching from both sides of the promenade at the cafes and the shoreline and an abundance of brightly hued souvenir stalls calling out your name. And because of this we didn’t get to explore Riva in its entirety. But what we did manage to see in such a sparse time frame was more than enough to leave our hearts besotted. This is a promenade where people come to see and be seen. A statement which I feel like being presumptuous and making the assumption that this could be said for the city itself. 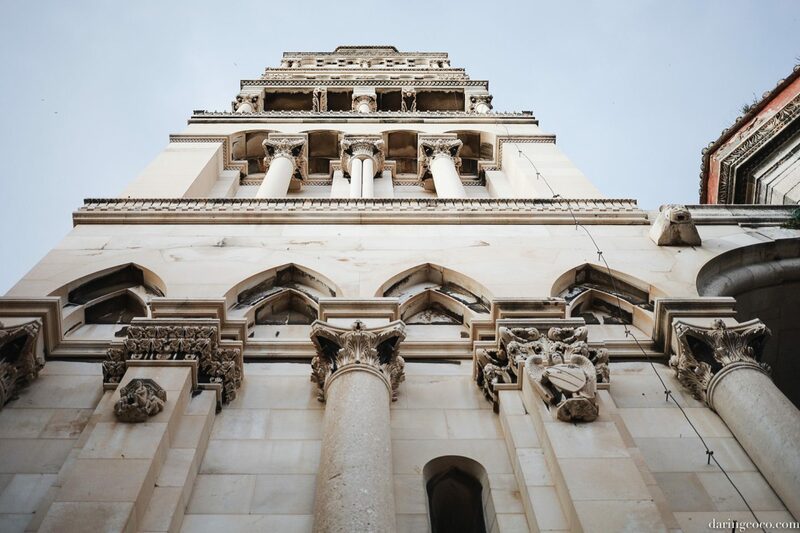 Split is grandiose and loud in architecture and this translates to it knowing how to have a good time too. And nothing is more true of that then Riva. A hub of activity for people of all ages during the day and at night were it transforms and morphs with a wondrous light display and the vibrational thumping of emphatic music that envelopes your entire being. 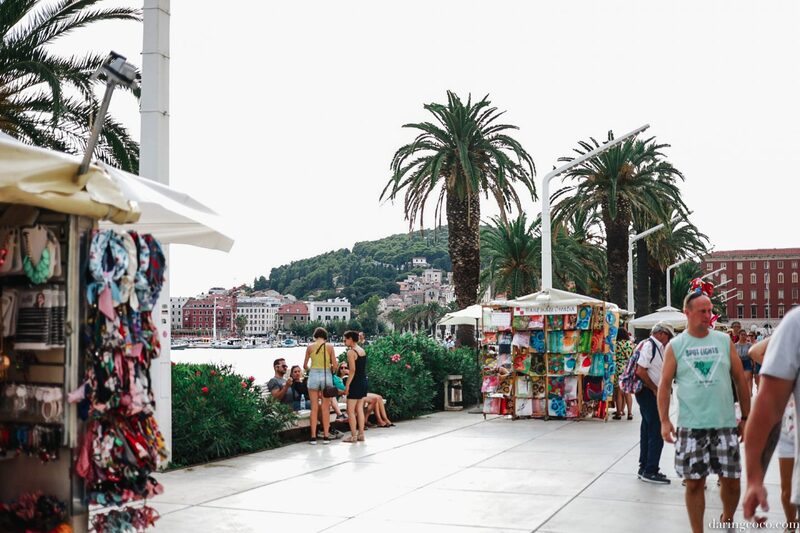 Just like during the day the cafes and bars that line the Splitska Riva remain teeming with life long into the night. And as such we found it difficult to find a free table, especially one with a prime viewpoint of the promenade. There was also much difficulty in getting service too. We’d waiting nearly thirty minutes for someone to take our order, time and time again being dismissed by other servers imploring our patience for the assigned waitress. 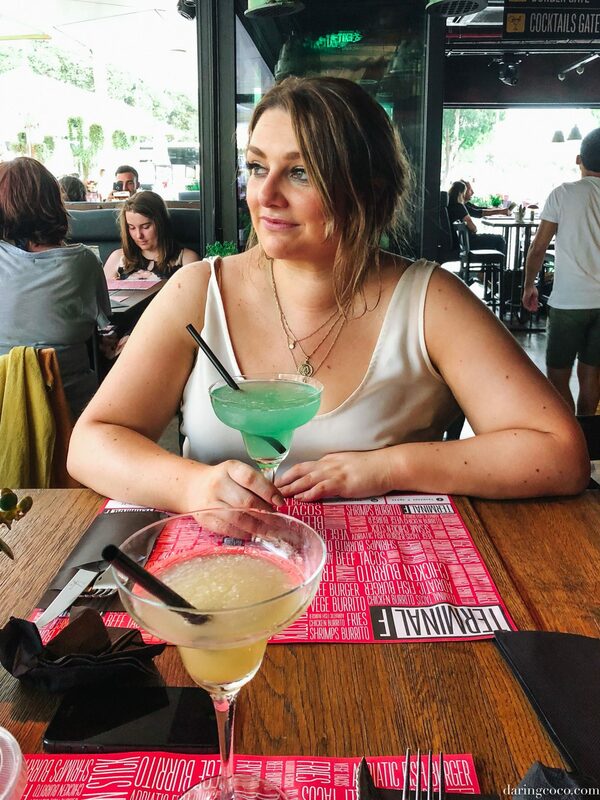 That was until my friend began speaking in Croatian and remarkably we were served our Caipirinhas within mere seconds. The wonders of being of cultural descent. 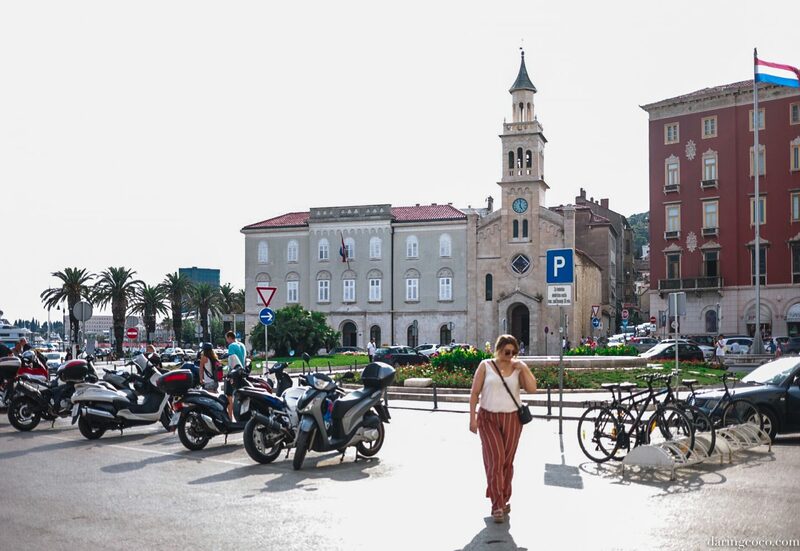 It was regrettable that our time in Split, Croatia was so short. In truth we’d originally set out here merely as a stopover for the long drive from Zagreb to Dubrovnik. While I’d heard from a co-worker her fondness for this Croatian city, never did I imagine that it too would leave such an impression. One which has left me eager to return and explore it thoroughly. 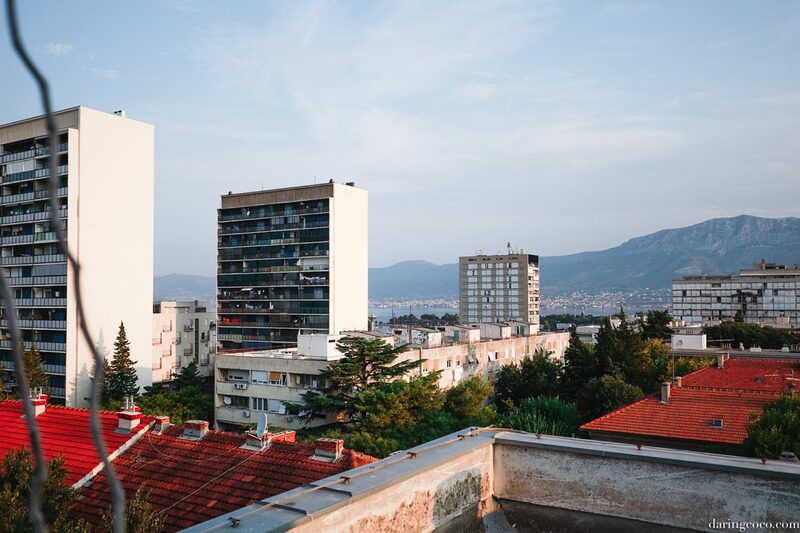 Split is grand, not just in architecture but size too. 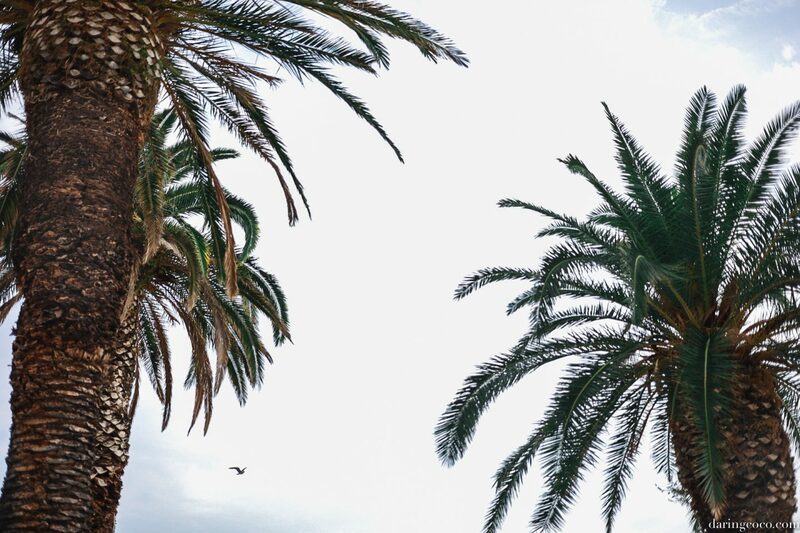 Something which is unmistakable when entering into the city off the freeway as you’re met with high rise buildings and a number of commercial estates and brands with faint glimpses out towards the water. 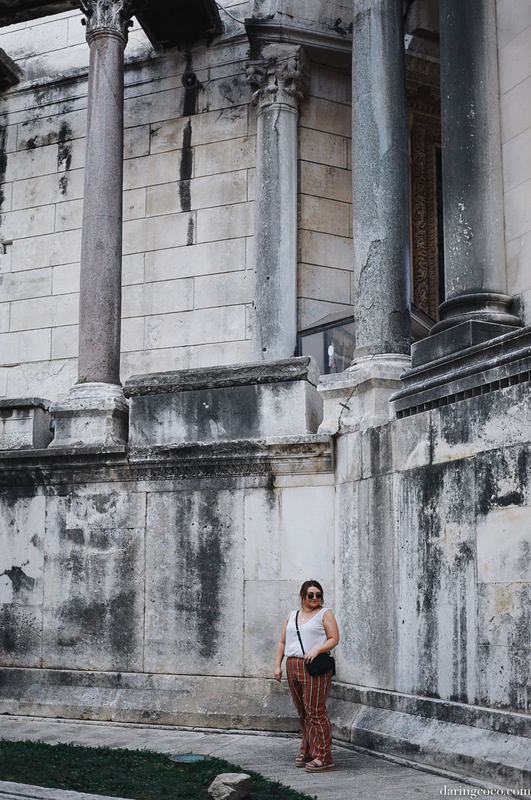 I feel like Split is more than Riva or Diocletian’s Palace. There are copious identities, secrets and haunts awaiting discovery. Not to mention those illustrious pebble beaches and plentiful islands to hop. Something which is unbelievably accessible through Uber (sign up and get a discount on your first three rides with code: soniam2435ue). Who actually knew you could Uber boats? I didn’t until I opened the app and discovered more than just vehicles as options. So I feel as though on my next trip to Croatia this will be something to explore further. Especially considering how Croatia has more than 1000 islands. And hopefully such adventures will be realised sometime in the near future. Maybe even later this year, if I am fortunate enough. Photos by Elizabeth Oro and myself.